--Vote in the Sports Pickle poll for the Pirates' high point in the past 17 years (not counting the Arnold Palmer ceremony). --Lengthy articles on 17 were all around. Here's one from ESPN.com's Howard Bryant ("Lost Pirates recharting their course") with a quote from old friend Tom of Rum Bunter fame. 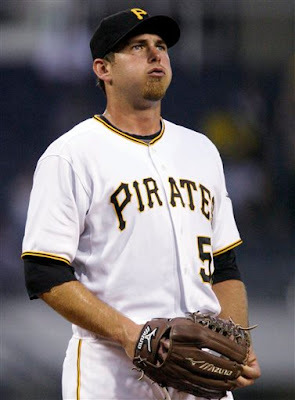 --And from SI's Joe Posnanski, "Pittsburgh's certainly not alone in baseball's era of futility". Some great/bad stats in here. 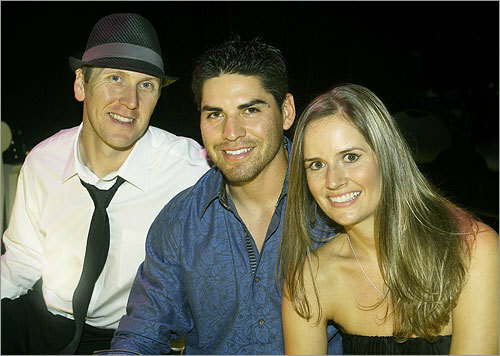 It might be the hat, but Jason Bay looks like he's 45. Has he aged that significantly since moving to Boston? You tend to look older when you're not constantly surrounded by little leaguers.